Prof Nick Crofts spent twelve years in Community Medicine in Collingwood, then 19 years at Fairfield Hospital and the Macfarlane Burnet Institute, where he founded Centres in Harm Reduction, International Health and Research into Population Health. His research has concentrated on epidemiology and control of blood-borne viruses, especially Hepatitis C among injecting drug users and prisoners in Australia, for which he was awarded an NHMRC Principal Research Fellowship. His programmatic and policy focus has been in developing harm reduction responses to HIV epidemics among IDUs in every country in Asia, where he was instrumental in the formation of the UNAIDS-endorsed Asian Harm Reduction Network, and has done many consultancies for UN and other multilateral, bilateral and national agencies. 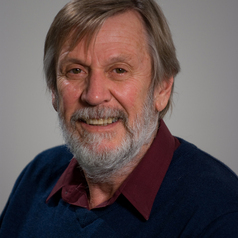 For his work promoting harm reduction in Asia, Prof Crofts was awarded the International Rolleston Award for Harm Reduction in 1998. From 2004 to 2007, he was Director of Turning Point Alcohol and Drug Centre in Melbourne; from 2007 he has been Professor of International Health at the University of Melbourne. The centrepiece of Nick’s life is his family; he is married to his best friend, Kerri, and has four delightful daughters.